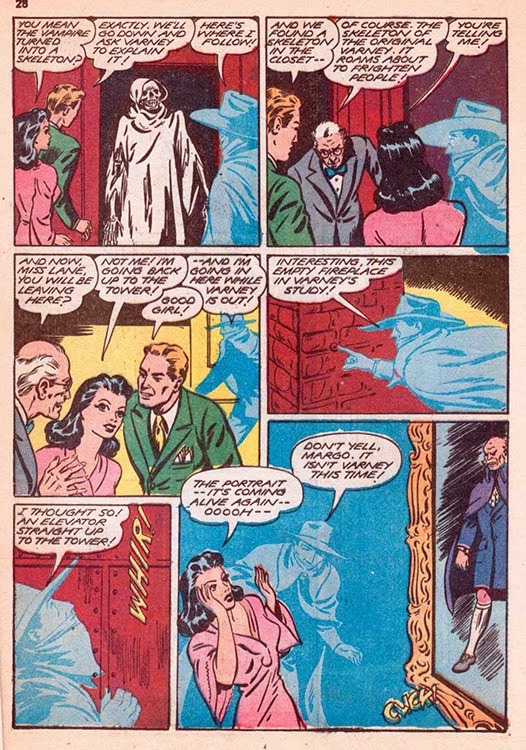 Secret Sanctum of Captain Video: Captain's Library: THE SHADOW "Vampire Hall"
Captain's Library: THE SHADOW "Vampire Hall"
...and to complete the cycle, this story was adapted into the September 1946 season opener of The Shadow radio show, entitled "Vampires Prowl at Night"! 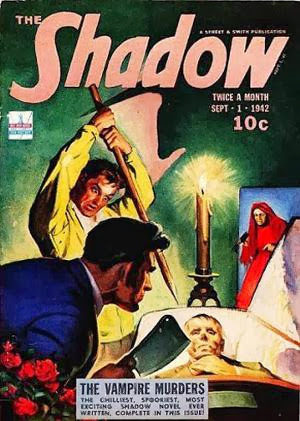 (BTW, you can read the pulp novel "Vampire Murders" and the script for "Vampires Prowl at Night" in a recent reprint available HERE. 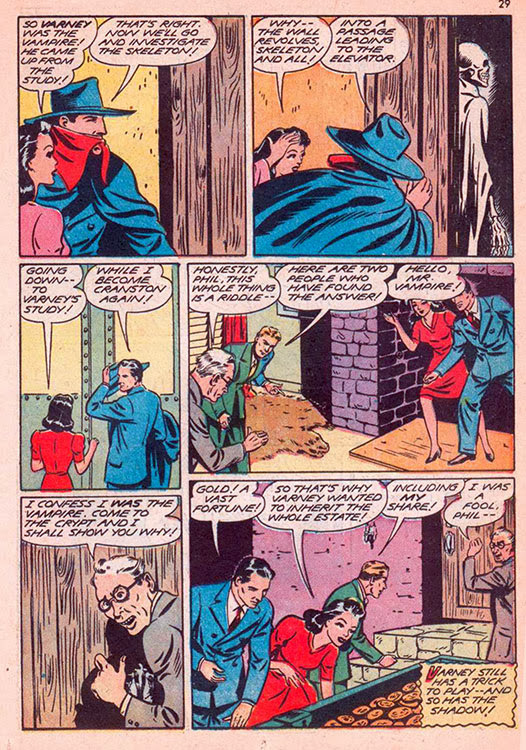 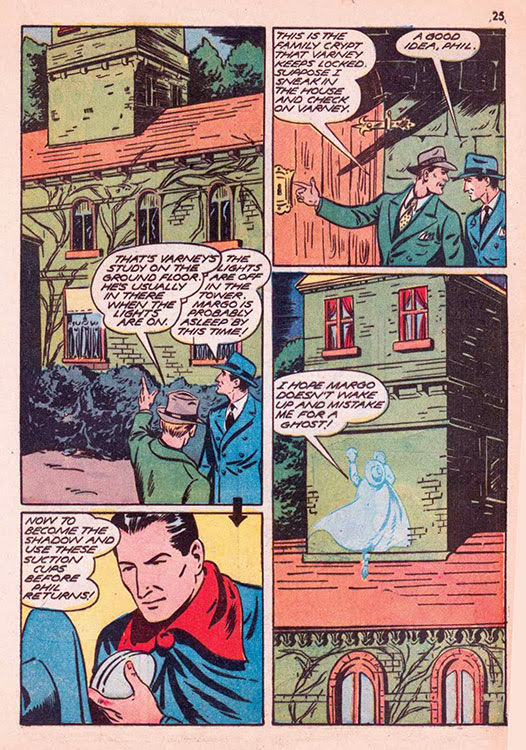 This never-reprinted story from Shadow Comics V3#4 (1943) is written by Gibson and illustrated by Jack Binder. 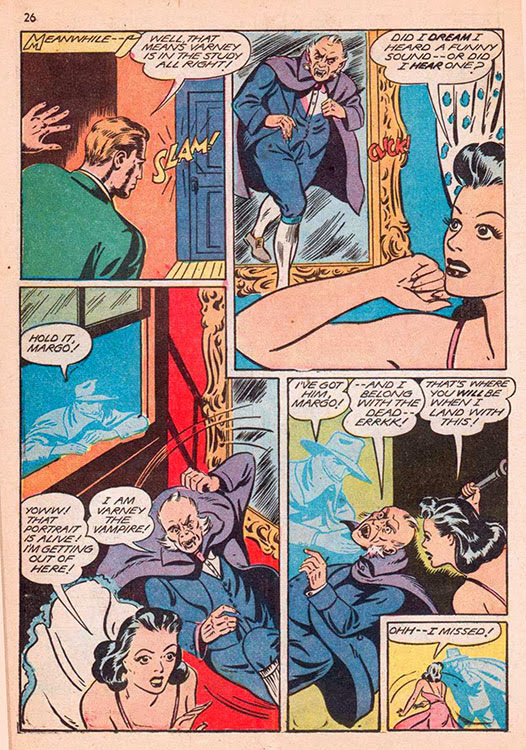 The character of Varney Haldrew is named after Varney the Vampire, who was featured in the 1845 Gothic-horror story, Varney the Vampire; or, the Feast of Blood by James Malcolm Rymer. 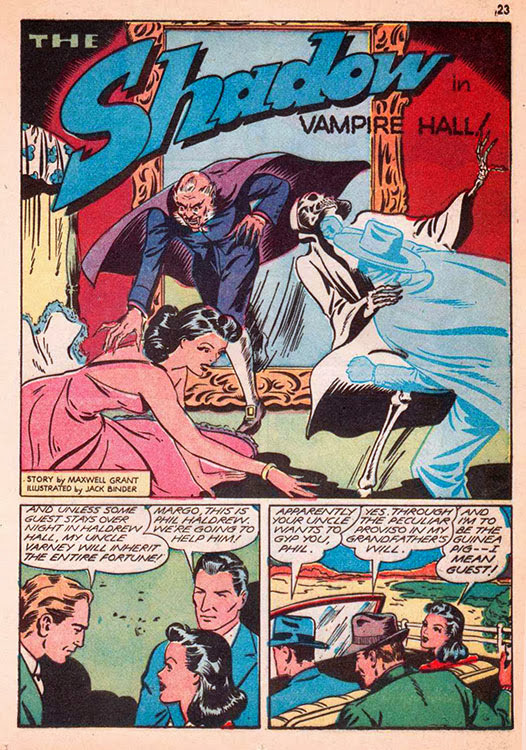 "Varney" was a major influence on fictional vampires, including Dracula (1897), by Bram Stoker. 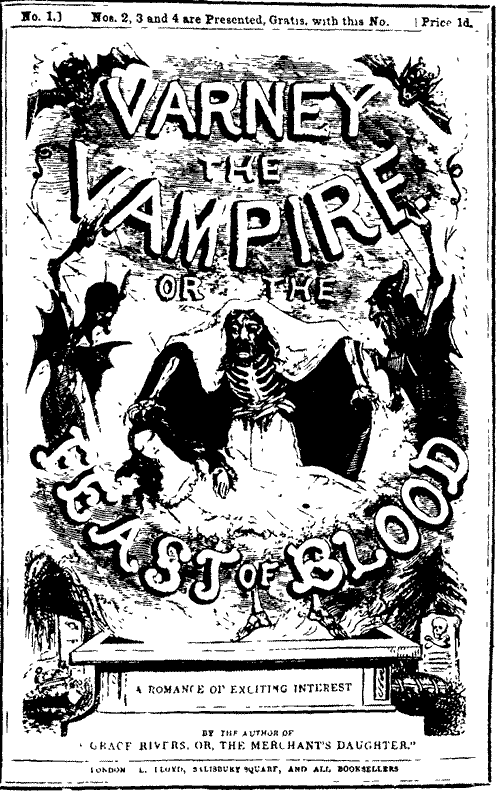 Many of the basic concepts about vampires including fangs, punctured necks, and hypnotic powers, originated from the popular Varney "penny dreadfuls" published from 1845 to 1847. 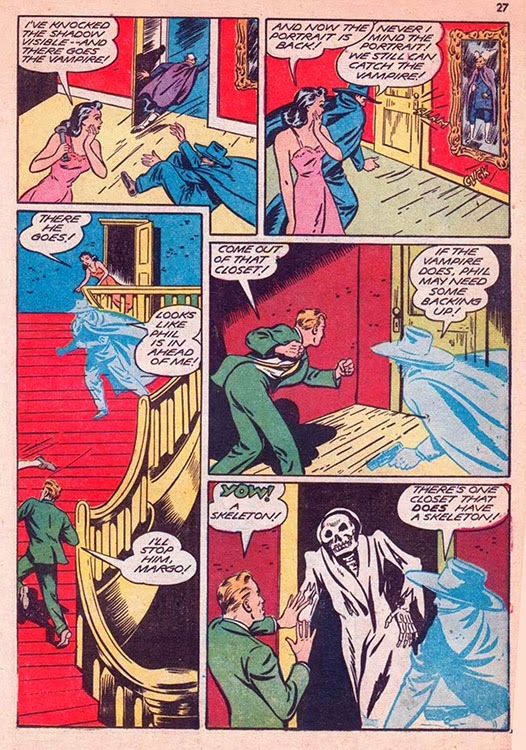 We're hope you're enjoying our Countdown to Halloween 2013 contributions about tv/movie/radio-based comics featuring monsters (or in this case, someone pretending to be a monster)! 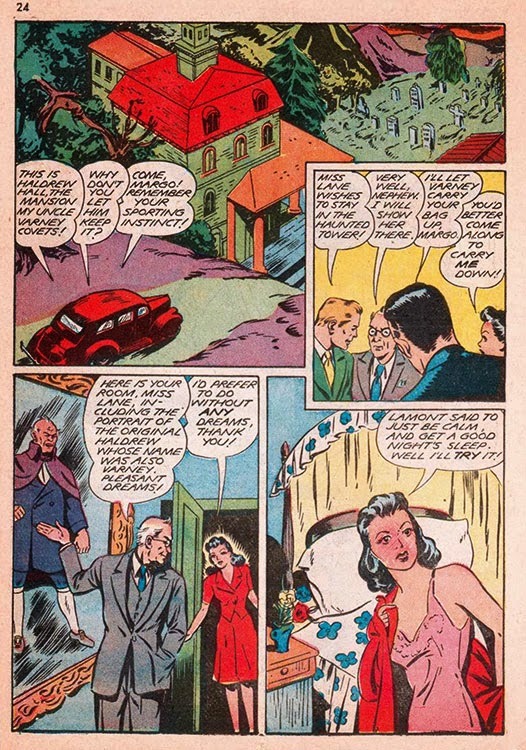 Somewhere along the line picked up a 2 volume set of VARNEY reprints... massive, never had the patience with the prose of that genre to get very far. 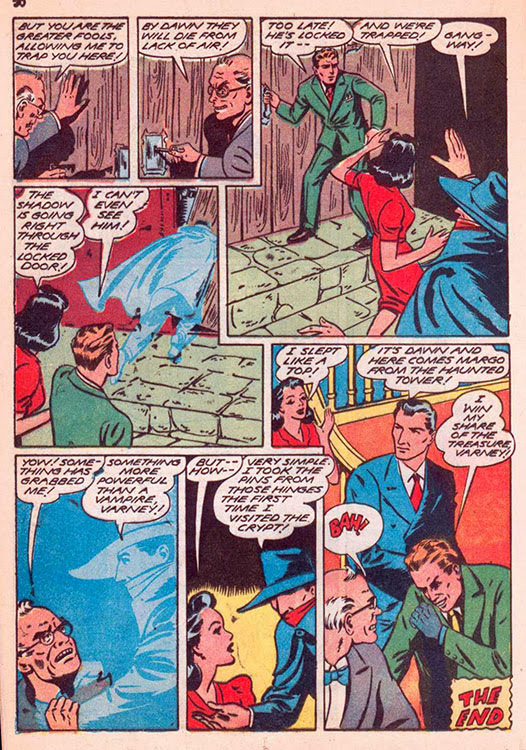 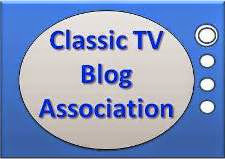 BURKE'S LAW "Who Killed the Hollywood Hopefuls?"